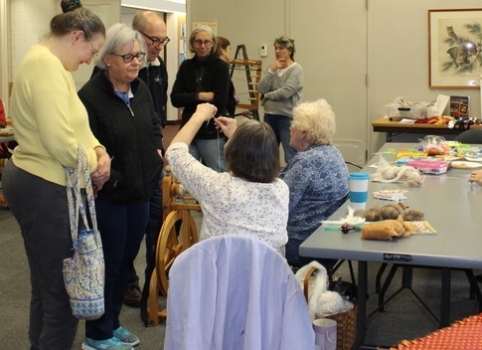 The Weavers Guild of Rhode Island Demonstration Day was held at the NortgKingstown Free Library on Sat. May 13, 2017. 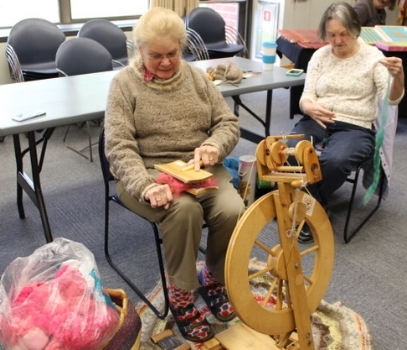 Various members of the WGRI happily demonstrated spinning on spinning wheels, drop spindles. 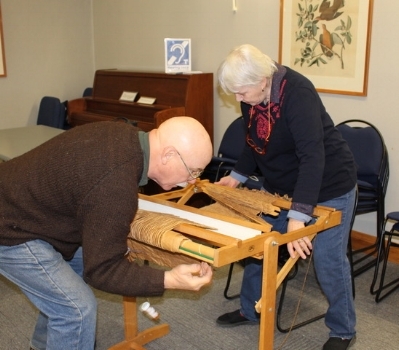 Weaving was demonstrated on floor looms, table top looms,inkle as well as tapestry looms. 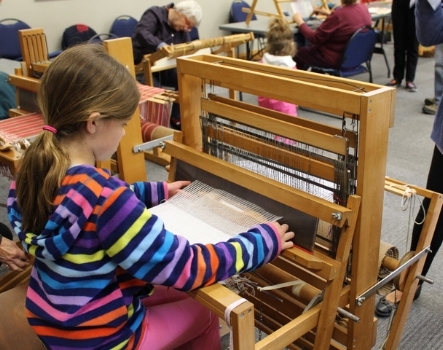 Children and adults who came to the demonstration day were encouraged to try their hand at weaving, spinning and to ask questions. 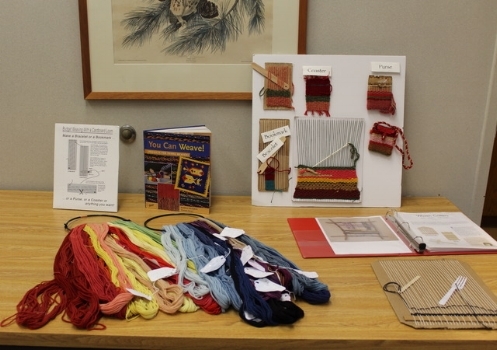 Weaving of pot holders was also available and when finished the pot holder could be taken home.